Daler Rowney oil colours traditionally crafted and triple-milled in England. 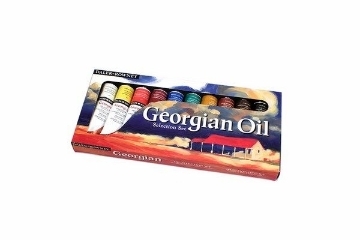 Georgian oil colours are smooth and buttery consistency, ideal for experimenting different brush and knife techniques. Daler Rowney Shimmering Colours gives a shimmering pearlescent metallic lustre when mixed with pure acrylic colour. 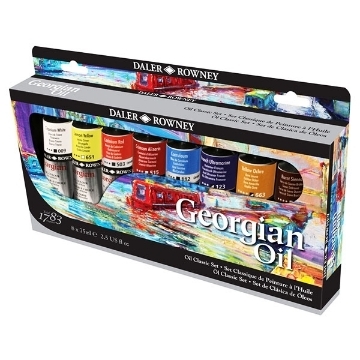 Daler Rowney acrylic set is an acrylic based student-quality colors. These colours can be used to paint on all conventional art surfaces.